Polly Pickering is an IT security solutions and business continuity consultant as well as an offshore AML enthusiast. She is a founding member of the IACCS, International Association of Certified Compliance specialists. 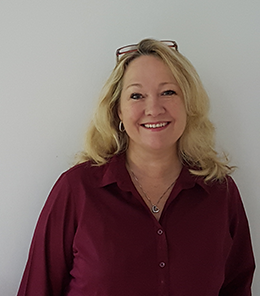 As the Managing Director of eShore Cayman she is fimiliar with the challenges surrounding disaster recovery, IT governance, cyber security and data sovereignty. She extends her support to various professional associations and service companies across the Caribbean and Channel Islands (UK). As both a risk specialist and corporate director for the past 20+ years Polly’s responsibilities have centred on DR/BCP innovation through technology. Polly’s early career included plastics engineering and automotive crash system advancements at Mazda & Ford Automotive in Detroit, (USA) after which she ‘switched gears’ to IT risk and continuity management. She has contributed to various Business Continuity software application developments and notably in 2006 supported the co-launch of an offshore node of an email security and compliance platform for archiving SaaS ‘offshore’ in the Channel Islands. Polly holds a BSc from WMU and certifications in risk management, CAMS, CBRITP and CEC. She is married and has one son and she enjoys competitive sailing, classic cars, and fundraising for various Cayman Islands charities. Recently Polly has engaged CAYMAN FINANCE sub committees for Innovation and IT eBusiness initiatives and is an local advisor to Blockchain Associates (Cayman). Welcome & Opening Remarks to Armour Expo 2018 by Polly Pickering (eShore Ltd) and Jude Scott (Cayman Finance).